As with any major purchase, the decision to buy a residence in Delaware is governed by a multitude of factors. While there may be practical reasons why you are looking to buy — for instance, as an investment — there is always a strong emotional component too. Because we have served the residential market in the Real Estate downturn, DEBALLI Realty Group is sensitive to subtle but critical issues such as your individual taste and style, as well as more practical considerations such as proximity to schools or shops. At the same time, our unrivaled knowledge of the market gives us special understanding of the relationship between price and value, and its implications to you as a purchaser. Our goal is to listen to your needs, help locate a range of properties that meet your criteria and then help you find one residence that wins your heart. From there we will guide you through the complex process of negotiating and acquiring a property. DEBALLI Realty Group has exceptional experience with, and knowledge of, the residential market, including single family homes available via new construction, short sales, bank-owned and owner resales. 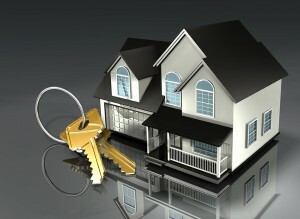 We have extensive knowledge and experience in negotiating Short Sales and bank-owned properties. Our agents are uniquely equipped to understand your lifestyle and your needs beyond the size and features for which you are looking. Through our property management division, we often have advance word on the residences coming up for sale. We offer a complete proprietary online database of properties, drawing on our own numerous exclusives and on listings with other brokers. Our agents will keep in constant contact with you, wherever you are currently located. We will personally help you prepare for and will handle many of the details associated with taking possession of your property. Please feel free to contact us today with any questions.